In the insurance business TPD stands for ‘total & permanent disability’ and that is exactly what the EU’s Tobacco Products Directive was designed to cause the vaping industry. This piece of European Parliament legislation was passed, without proper consultation, in October 2013. It was not based on scientific evidence and it appears that the pharmaceutical and tobacco industries and tobacco producing countries all had a strong hand in its design…. The shape of future e-cigarette regulation in the UK became clearer today with the release of the government’s response to one major public consultation, and the launch of another on the issue of fees. So we’re sat in a cafe in Bradford having something to eat. Outside the cafe there’s a little gathering, about ten or twelve young people – boys and girls – aged 14 or 15. They’re behaving exactly like you’d expect young people this age to behave – joshing with each other, lots of braggadocio from the boys, preening and giggling from the girls. All pretty normal and almost certainly a bunch of nice kids. And three or four of them were vaping…. 4 days later and I haven’t really found an answer and I guess I did not really expect to. Maybe I wouldn’t have liked the conclusion I should have come to and so avoided finding it. Who knows? I can say with absolute certainty that 4 days ago I nearly wrote my resignation from NNA and was ready to throw the towel in on all of this. 2016 – The end of vaping? All of these things have the same basic concept – a measureable facet of e-cigarettes has a level (or an effect) in a particular test that is either non-zero or the same (or greater) than the same level (or effect) from tobacco smoke. Often, this testing involves the use of e-cigs in a completely unrealistic way, or with a completely unrealistic exposure (or even both)…. Aformer GlaxoSmithKline biostatistics manager has filed a whistleblower lawsuit accusing the drug maker of firing him for alleging dodgy study data was used to tout the effectiveness of a smoking-cessation product. The journey taken by e-cigarettes over the past few years has been remarkable. From virtually nowhere, we can now find a shop selling them on every high street. Tens of thousands of people suffer and die prematurely each year in the UK from cancer, heart disease and other conditions directly linked to smoking. Perhaps the most critical argument of anti-vaping advocates is that the promotion of electronic cigarette use will renormalize smoking. 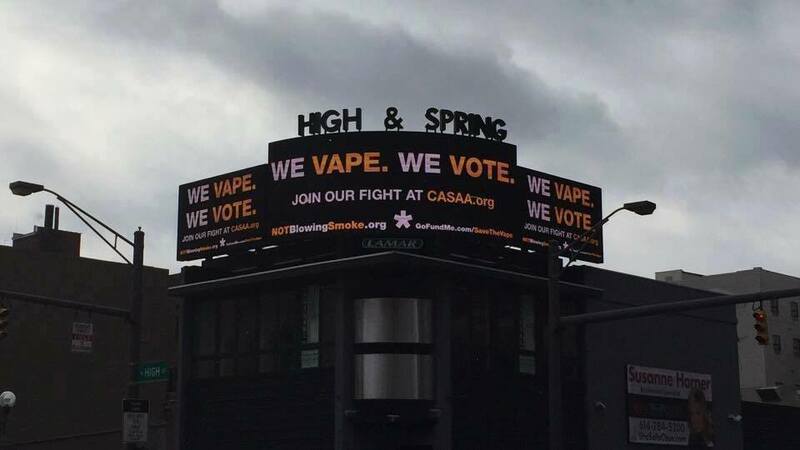 Presumably, anti-vaping advocates believe that by depicting the physical act of what “looks like” smoking in a glamorous way, electronic cigarette advertisements will promote smoking, reversing tremendous societal progress in reducing smoking rates. But in spite of this floundering start, the market is set for growth as vaping becomes more popular and the NHS gets ready to prescribe e-cigarettes for quitting smokers. Could 2016 mark a new era of tobacco (free) advertising?